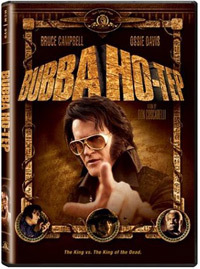 From writer-director Don Coscarelli (Phantasm, John Dies At The End), 2002’s Bubba Ho-Tep is one of the craziest horror comedies you’ll ever see. When mysterious deaths plague a Texas retirement home, it’s up to Elvis Presley (Bruce Campbell) and President John F. Kennedy (Ossie Davis) to battle a 3,000-year-old Egyptian mummy dressed like a cowboy. 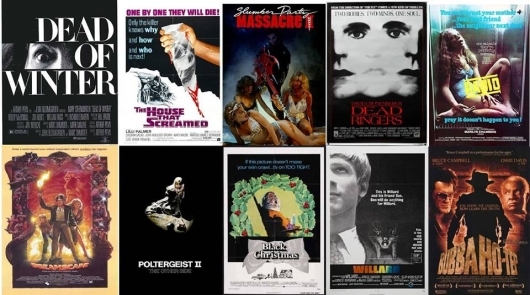 Before I get started, I have a confession to make… I did not grow up worshiping at the altar of Bruce Campbell. I’d heard the name, but I really had no idea who the guy was. And coming from a self-professed cinephile and pop-culture junkie, I know that this information is a big blow to my credibility… In my defense, I have since seen all of the man’s films, read both of his books, and worship at the altar of Bruce Campbell regularly. But then I read an article in my local paper about a little movie called Bubba Ho-Tep that was going to be playing at our small, alternative cinema. I really couldn’t believe what I was reading as the article discussed the plot of the film. For those who don’t know, in a nutshell the film is about two residents of an old folks home — who may or may not be Elvis Presley and John F. Kennedy — who have to team up to battle an ancient Mummy that is stalking the old folks living in the home. Brilliant, right? But wait, it gets better!